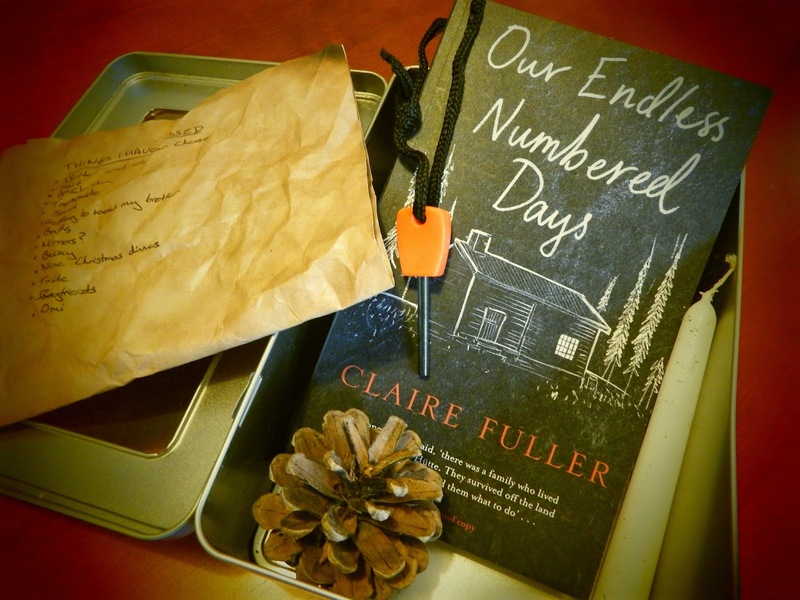 Returning to The Book Habit in appropriate style, with a review of Claire Fuller’s debut novel Our Endless Numbered Days. I received a copy of this book at the start of the year, prior to its February release. * Despite tearing through it in no time, my PhD work has kept me away from the blog and means that this review is coming to you with a delay. Thankfully, summer is here and I have managed to begin the process of trading textbooks for fiction. This is the first of many reviews coming to you this summer and the perfect introduction to my summer reading recommendations. ‘Dates only make us aware of how numbered our days are, how much closer to death we are for each one we cross off. From now on, Punzel, we’re going to live the sun and the seasons’. He picked me up and spun me around, laughing. ‘Our days will be endless’. Our Endless Numbered Days tells the story of Peggy Hillcoat. In 1976, at 8 years old, she is removed from her London life by her survivalist father, James. Assuring her that the rest of the world has been obliterated in an apocalyptic event, James leads Peggy to a mysterious cabin in the middle of a forest in Europe. For 9 years, Peggy’s life is played out in this tiny cabin, with only an improvised piano and her increasingly unstable father for company. In 1985, Peggy returns to civilisation alone. As the novel progresses and the story unravels, the details of Peggy’s experience are gradually revealed – leading to a shattering and suspenseful conclusion. I put the magnifying glass back in the drawer, and then surprised myself by sitting on the piano stool. I raised the key lid, transfixed by the neat white row of keys, like polished teeth, and put my right hand over them – so smooth and cool – where my father’s had been. I leaned to the left, stretched my arm out across the top and something moved inside me, a nervous fluttering, low down in my stomach. I stared at the photograph, still in my hand. The face of my father stared back, even then so innocent he must have been guilty. The experience of reading Our Endless Numbered Days was not as expected. I came to the novel with admittedly little information about the plot but anticipating a fairytale-esque journey into nature and solitary living. A fictional version of Thoreau’s Walden Pond is a fairly close approximation of what I had in my mind. However, from the opening pages of the novel it became apparent that this was to be a story far more sinister in nature. The book begins with Peggy’s return to London, after 9 years of isolation in a European forest with her father. She comes back to her family home, back to her mother and her younger brother – with whom her mother was pregnant at the time of Peggy’s disappearance. As Peggy grapples with understanding her experience, and the mind of the man who was both captor and parent, the novel simultaneously relates the events of the past 9 years. These two parallel narratives drip-feed suspense throughout the novel, making the reader constantly aware that the book’s climax will deliver remarkable consequences for the characters. It also ensures that the book, once started, is extremely difficult to put down. Perhaps the most effective part of Fuller’s narrative style is the voice that she gives to her main character. First person narrative is an undeniable challenge to deliver effectively. The author not only does it seamlessly, but she also manages to retain a distinct and evolving voice between the split 1976 and 1985 narratives. Peggy’s narration is fluid and cohesive, but also clearly marked by the passing of time. The reader witnesses the evolution of Peggy’s initial wonder and blind trust in her father, into a fear and insecurity that begins to pervade the pages of the novel. The voice and characteristics that Fuller builds for Peggy’s character are remarkably complex and totally engaging. In many respects, Our Endless Numbered Days gave me strong memories of Markus Zusak’s The Book Thief. Both novels are, at their heart, relating the attempts of a young girl to understand and navigate an adult world. In The Book Thief, Liesel finds herself living at the centre of a war that is tearing apart the fabric of her society. She is forced to confront realities to which no young child should be exposed. In Our Endless Numbered Days, Peggy’s experience is dictated by her father’s paranoia and his determination to remove himself from society. She is required to grapple with the reality that her father presents to her – in which the world has been obliterated and everyone she knows is dead – and deal with a life of isolation and extreme hardship. For both girls, their childhoods are effectively removed by the actions of adults. ‘I went over to the other side of the Fluss,’ he said. Steady drips of water punctuated his words with a hiss each time they dropped on to the hotplate. ‘To see the damage from the storm. It’s worse than I imagined.’ He sniffed. ‘The rest of the world has gone.’ That’s how he said it; just like that, matter-of-fact. And I continued to sit in the corner with my hand under the shelf and my insides hollowed out. He changed into dry clothes and neither of us said any more about it. Our Endless Numbered Days is a truly fascinating read. It is absolutely heart-rending in its realities and gripping in its style. This is definitely one to add to your summer reading list. * Disclosure: I received a copy of this book from the publisher, in exchange for an honest review.